Sir it is necessary to get the passing marks in both the papers of csat. Is it necessary to get the minimum passing marks in both papers of csat or more in one & less in the other. upsc will combine your score from both papers and then prepare the list of succuessful candidates. I have a small request. Please upload an interview of any of the average student like who has scored around 60-50% in there boards and graduation level and is still able to crack UPSC.. I m asking you because most of the interview i can across are of all intelligent people who have scored arund 85-90% till there graduation.. It will be great to boost my moral.. I have seen his interview. That guy has created a landmark.. I wont even wish to take so much attempts.. Beside this i belong to General Category If i wont qualify in 2 attempts than i would take up some other job..
MAYANK’s roll no. was after me in chemistry paper , he took 3-4 extra sheets in both paper , that may be reason of his low chemistry marks , I was unlucky that couldn’t qualify ENGLISH qualifying paper , I am hindi medium student. Any one knw bolgs for zoology and botany? @priyamka tawade: ru frm pune? hats off to you … i know its very tough to prepare two science optionals … IITian spirit … salute..
Guys….Somebody who has cleared the exam with law optional please give a detailed description of how to go about with the preparation..
APFC Ke cutoff pata karveye please. Please do the next favour-how to extract material from this site. Being Govt. site they saling the material in many Volum of CD’s. Any way out please ??? I don’t have TV connection in my room. Can you please help me out finding lok sabha programmes on internet ? That race course part and last quotes are really Awesome !!! Motivating !!! I am from a small town, i am a graduate in B.Sc(MPC)with very less subject knowledge, and i want to crack civils. I am unable to spend much money, i am doing little jobs while studying from the completion of my X class for financial support. Now i want to pursue Post Graduation from IGNOU/BRAOU. I am interested in ‘Library Information science’ and ‘Sociology’. congrats Mayank for huge success!! Can you share the book and author names for ICSE geo 6th, 7th & 8th for world geog.as mentioned in this blog. There are many ICSE books i could find written by different authors. Its great to see people impartial interviews shared by you . Thanking you for that. I would like to ask you about choice of optionals, as i have prepared pub-ad , but after looking at people score in binary numbers ( single or double digit but not triple digit) , it seems that i have to leave that optional. Kindly share your view , which option to go for , and any material that you would like to suggest. Thanking you again for your useful and innovative notes , which helped me for this year prelims. 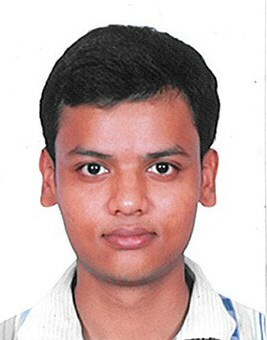 Mayank, Please provide me your contact info .. need some help regarding electrical engg. message me on facebook account. i would try to promptly reply to your querries. I tried searching your profile on facebook, can you please help us out by giving email address or facebook contact. Sir please provide your contact info. FB pe nahi mil rahi aapki profile. can u please give ur email id ,as i am not able to find u on facebook. Hi Sir!! U are doing a Great job & has become one of the major sources for all Aspirants.Please suggest books,materials,etc for newly changed Mains pattern esp G.S-Ppr 4. Thanking U in advance for the Same. Will be eagerly waiting for Ur Reply. sir when you are going to post the strategy for mains and study plan? Sir,Now I am studying 2/4 b.tech.So how can i start preparation for civils,how to study basics and from where? sir u.p.pcs k exam pattran k bare me batain .pt kitne marks ka hoga. I got 100 in chemistry p-2.how to improve my score?please give your total correct attempt in p-1 and p-2. I got 100 in chemistry p-2.how to improve my score in p-2?please give your total correct attempt in p-1 and p-2.i felt the paper was tough and unconventional for p-2.In p-1 checking was tough(119 attempt-270 solid). for paper 2 i think, practice is much more required. another thing is the scaling. your marks does not solely depend on your own performance but it is relative. for p-1 my correct attempt was similar to yours around 260. in paper 2, my attempt was near to 240, and i got near about 124. i think paper 2 was tough. i read mostly clayden ( almost complete, leaving some non-relevant last chapters) and did all back questions and practiced previous ias papers. i am not suggesting you to follow this but just telling you what i did. please give me your email id iam not able to find u on facebook. in paper-1 did you make notes,practice answer writing ?i did not make notes and directly wrote in exam.i think thats why i got less as highest score in my knowledge is around 170 in paper1. will only clayden be sufficient for paper 2? In electrical Engineering, on attempting 240 correctly out of 300 how much marks can we expwxt after scaling..
please tell us how muxh u attempt correctly in both the papers of electricail engineering..